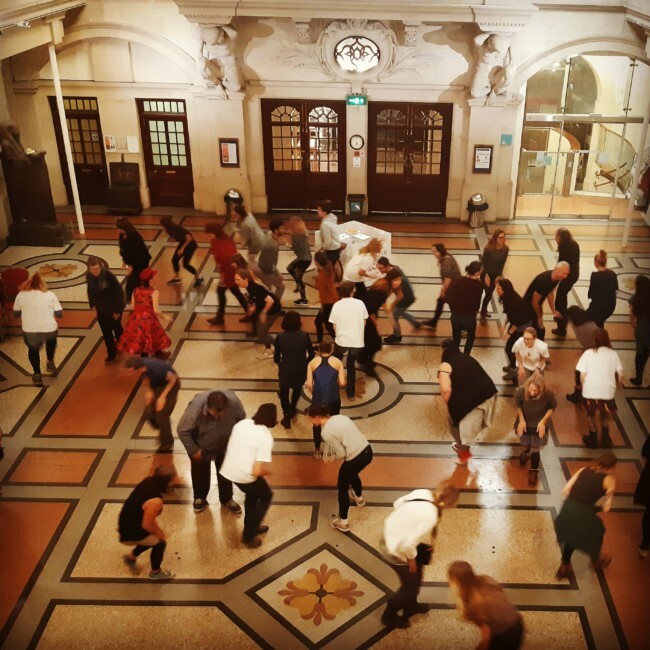 As Clown in Residence at the Bristol Museum, I was asked to facilitate a Laughter Yoga Workshop. 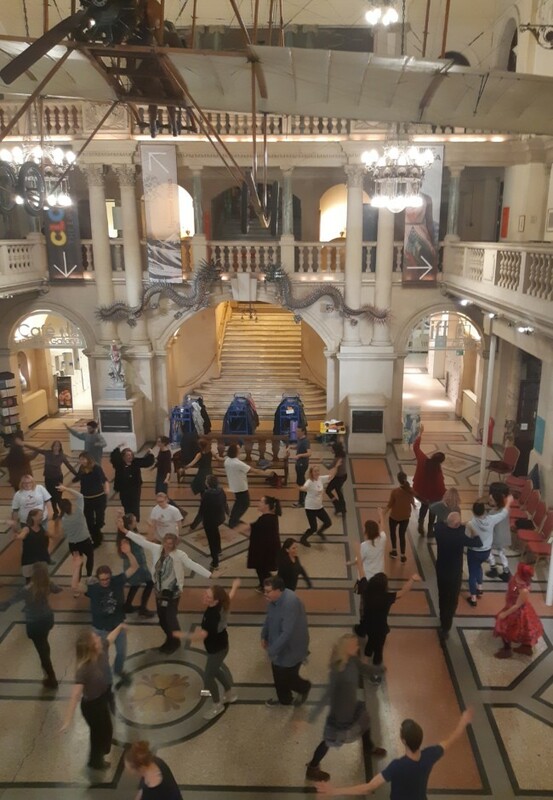 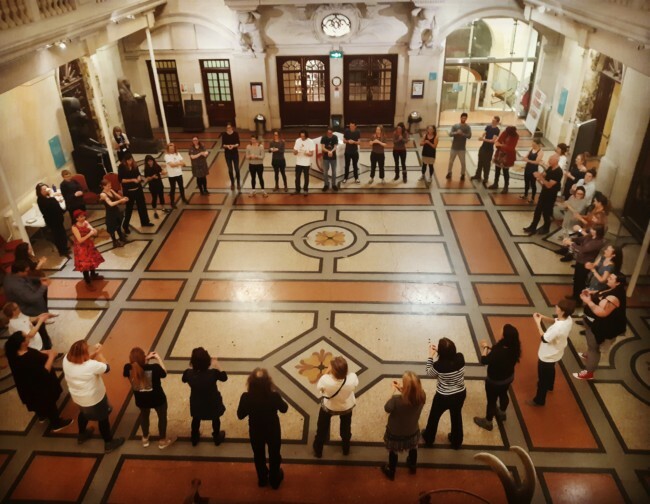 Over 50 Bristol laughers came along to the the front hall of the museum on a chilly Wednesday night to laugh their heads off in glorious union! 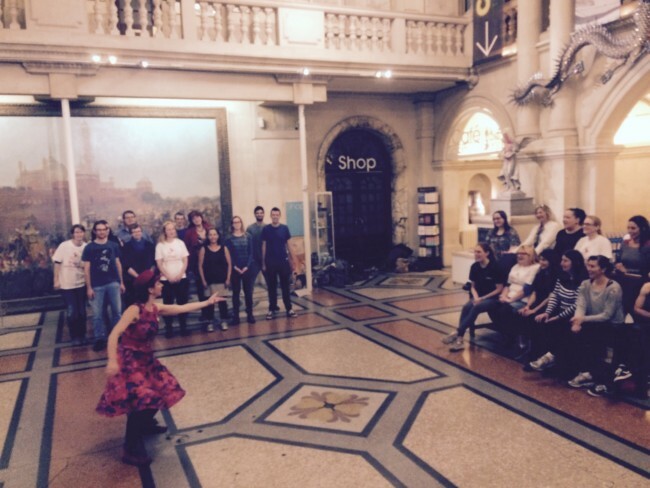 We raised the roof of the museum and let in a bit of starlight!